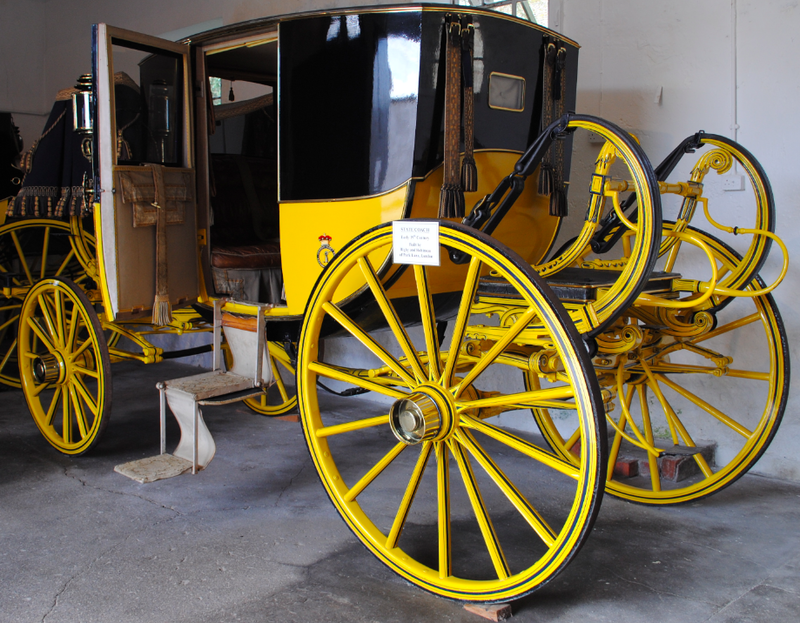 The above State Coach was built for the Duke of Cleveland by Rigby & Robinson of Park Lane, London. 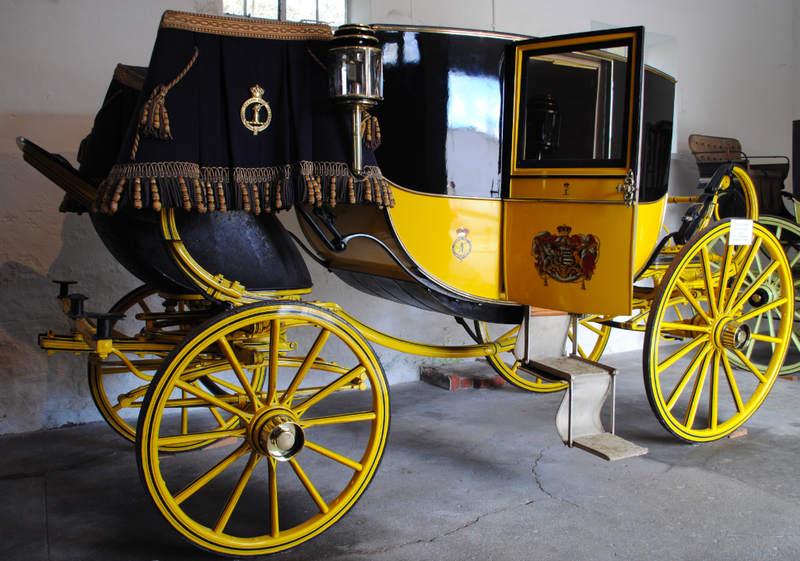 Dating to around 1810-1820, the Coach was last used for the coronation of Edward VII in 1902 by the 9th Lord Barnard. The Coach would be pulled by two Cleveland Bay Horses and driven by a Coachman who would sit on a blue ornate drape known as a Hammercloth. Two footmen would stand at the rear and this method of driving was known as Box Driving. The doors are fitted internally with yellow blank blinds which replace the glass when lowered and were mainly used to protect the interior from fading when in storage. The handholds in the rear were manufactured on a Jacquard Loom first demonstrated at the Paris Industrial Exhibition of 1801 where punched cards were used to control the warp and weft. This system was not used in England until 1810 although the fabric from this type of loom was imported prior to this date.